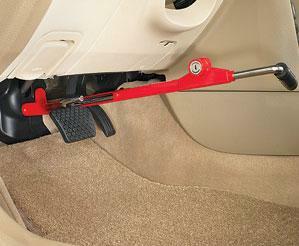 Protect your vehicle with The Club® Brake Lock. This simple device works by preventing the brake or clutch pedal from being depressed. Easy to use self-locking feature - one pull and it locks.